Now Canada’s housing market is beginning to cool. Sales plunged 32 per cent in Vancouver last year and 16 percent in Toronto amid rising interest rates, stricter mortgage rules and new taxes. Meanwhile, Crescat calculates that about 80 percent of Canadian non-financial stocks have been cash-flow negative in the past 12 months, which he measures as cash flow from operations minus capital expenditures. That may be inflated by the the large numbers of “zombie” companies on Canadian stock exchanges, which the Organisation for Economic Co-operation and Development defines as those 10 years and older and whose earnings aren’t high enough to cover interest payments on their debts. In a September study, Deloitte found 16 percent of public companies on the Toronto Stock Exchange and its sister Venture Exchange are considered zombies, compared with 10 percent globally. 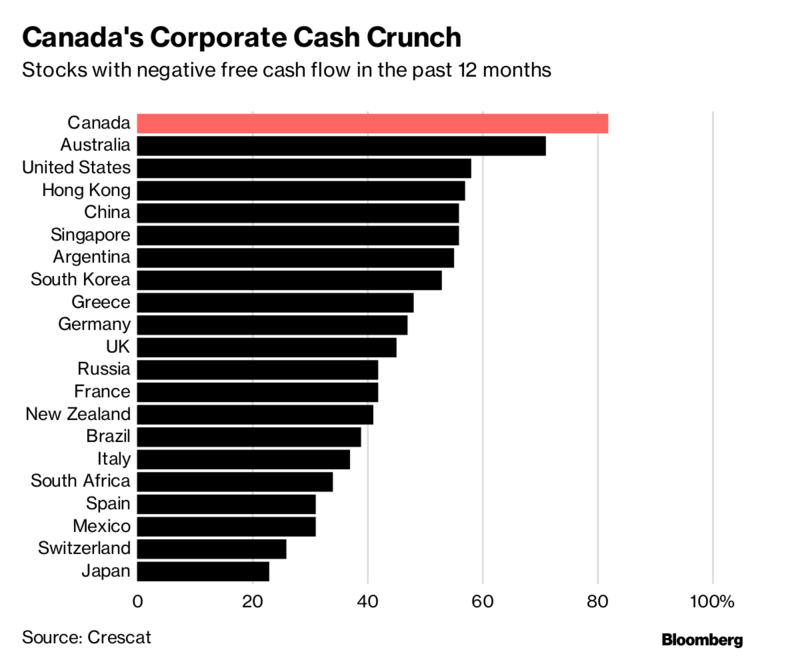 But Costa said even if he excludes energy and materials stocks, 70 percent of Canadian stocks have still lost money on a free cash-flow basis. If you consider only non-financial stocks with a market value of more than $100 million, the share is still more than 50 percent, he said. And Canadians bank stocks have largely defied naysayers as the country’s unemployment rate has hovered near records lows amid steady growth -- until recently. The S&P/TSX Composite Commercial Banks Index slumped 11 percent last year amid market global volatility, the biggest decline since 2008. "Most of these banks are off their highs and have just started to break down," Costa said. --With assistance from Doug Alexander and Brandon Kochkodin. 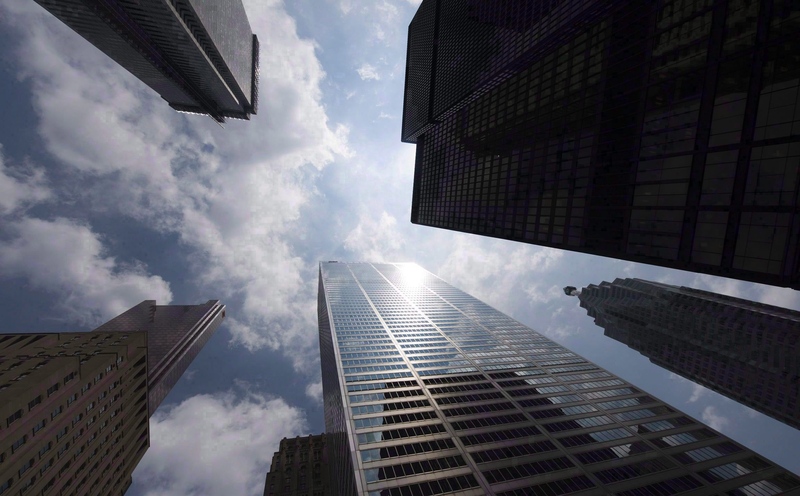 Do you think there’s a case for shorting Canadian banks?